Newest addition to the Draper line of furniture. 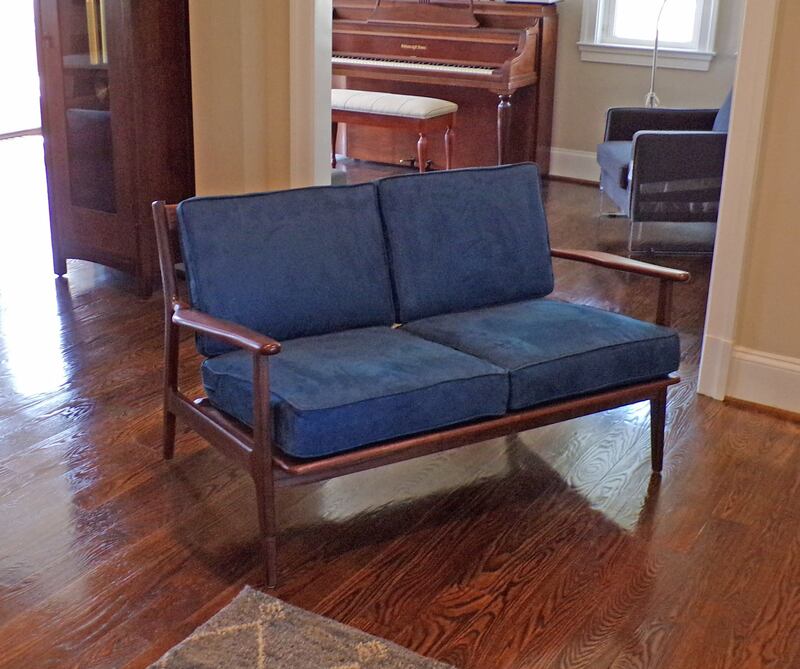 These mid century pieces add a touch of retro style to a home. Cushions are custom upholstered to suit your design pallette.